Check out the full Friday schedule for the San Diego Comic-Con 2016 below. 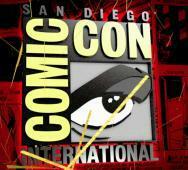 Full details on AMC’s Hall H panels for The Walking Dead, Fear The Walking Dead, and Preacher. Screening of The Exorcist‘s first episode, panels for Bates Motel, Resident Evil video game franchise goodies, Scream Factory, and more below. Scream Factory is releasing Tom Holland‘s Child’s Play (1988) in a new Collector’s Edition Blu-ray. This Blu-ray is set to release this October 18, 2016, with a new 2K scan and new audio commentary from Tom Holland. Scream Factory partnered with NECA to also include a Good Guys Chucky figure. Full details on this release in the press release below. 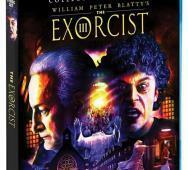 Scream Factory is releasing William Peter Blatty‘s cult classic The Exorcist III (1990) on Blu-ray. This version will include the director’s cut of the film. You can purchase the 2-disc Blu-ray on October 25, 2016. George C. Scott, Ed Flanders, and Brad Dourif star in The Exorcist III. Brad Anderson‘s Session 9 (2001) is releasing on Blu-ray on August 16, 2016, via Scream Factory. The special features list is not too bad, but I was expecting a little more. Check out the list below for yourselves and tell us what you think. Eric Red‘s Bad Moon (1996) is making its Blu-ray debut via Scream Factory on July 19, 2016. Today we have the full details below with all the special features listed. Highlights of special features included in this release are a new high-definition theatrical cut of the film, new director’s version approved by Eric Red, new interviews, new audio commentary, and an unrated opening scene from the original director’s cut of the film. Full details on this release included below. 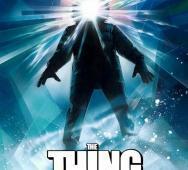 Scream Factory has finally revealed all the goodies that with come with the special Collector’s Edition of John Carpenter‘s The Thing (1982). This Blu-ray is scheduled to release on September 20, 2016. Some of the highlights are the new 2K scan from the source, audio commentary, interviews, and many featurettes. 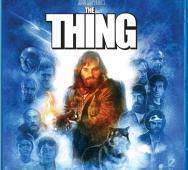 Full details are listed below for Scream Factory’s Collector’s Edition of The Thing. Worth noting, there are still some extras being worked on to add to the list below. Chad Archibald‘s Bite (2015) is releasing on Blu-ray / DVD this August 2, 2016, via Scream Factory. Bonus features include audio commentary from writer/director/producer Chad Archibald along with five Behind-the-Scenes documentary shorts. Elma Begovic, Annette Wozniak, and Denise Yuen star in this twisted creature feature film. Mike Testin‘s Dementia (2015) is getting a Blu-ray/DVD release this May 17, 2016, thanks to Scream Factory and IFC Midnight. The press release does not mention any bonus features at all, shame. 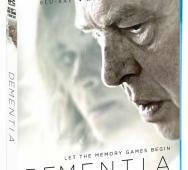 Gene Jones, Kristina Klebe, and Hassie Harrison star in Dementia. Eytan Rockaway‘s The Abandoned (2015), aka The Confines (2015), is getting a Blu-ray / DVD release this upcoming June 7, 2016, via Scream Factory. We will get the standard deleted scenes and alternate ending as bonus features. 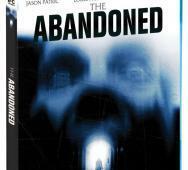 Jason Patric, Louisa Krause, and Mark Margolis star in The Abandoned. 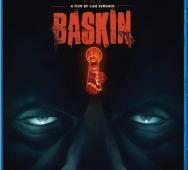 Can Evrenol‘s Baskin (2015) will be releasing on Blu-ray/DVD on August 9, 2016, via Scream Factory. So far no bonus feature details have been released yet, but we will keep you updated when that news is announced. Andy Palmer‘s The Funhouse Massacre (2015) is releasing on Blu-ray and DVD this June 7, 2016, via Scream Factory. Special features include audio commentary, video commentary, and a few others all detailed below. 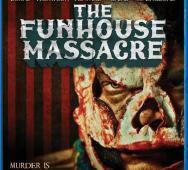 Robert Englund, Jere Burns, and Scottie Thompson star in The Funhouse Massacre. 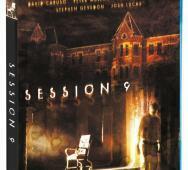 Scream Factory to release Brad Anderson‘s Session 9 (2001) on Blu-ray this August 16, 2016. Special features are being worked on currently with that news to be revealed at a later time. David Caruso, Stephen Gevedon, and Paul Guilfoyle star in Session 9. 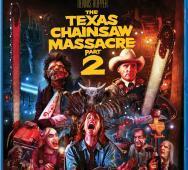 Scream Factory revealed the bonus features for Tobe Hooper‘s The Texas Chainsaw Massacre 2 (1986) upcoming 30th Anniversary Collector’s Edition Blu-ray. Trust me; I would like to list them all here, but the press release below details all that already. Here is the brief: 2K HD scan of the film, tons of audio commentary, outtakes and so much more. Dennis Hopper, Caroline Williams, and Jim Siedow starred in The Texas Chainsaw Massacre 2. Thomas Harris’ Red Dragon film adaptation, Michael Mann’s Manhunter (1986) is getting a special Collector’s Edition Blu-ray via Scream Factory. 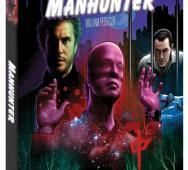 This Manhunter Blu-ray will include “more than 5 hours of bonus content, including over 2 hours of new interviews.” Another awesome release from Scream Factory. William Petersen, Kim Greist, and Joan Allen star in Manhunter. Tara Subkoff‘s #Horror (2015) is releasing on Blu-ray/DVD on April 5, 2016, via Scream Factory, in conjunction with IFC Midnight. We also have two Blu-ray clips along with the official trailer below. There is no mention of/if any, Blu-ray bonus features come with this release. Sadie Seelert, Haley Murphy, and Bridget McGarry star in #Horror. Geoffrey Wright‘s Cherry Falls (2000) is getting a Blu-ray release this March 29, 2016, via Scream Factory. This Blu-ray release includes a ton of bonus features including new audio commentary, new interviews, and behind the scenes footage. 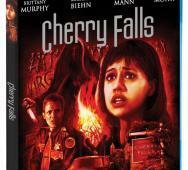 Brittany Murphy, Jay Mohr, and Michael Biehn star in Cherry Falls. 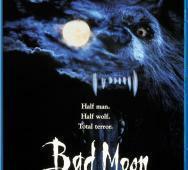 Eric Red‘s Bad Moon (1996) is one of the better werewolf movies out there, and Scream Factory will release the Blu-ray of this film on July 19, 2016. Bonus features are still yet to be revealed, but we trust that Scream Factory will deliver something promising. Also listed below are additional Scream Factory releases scheduled for this Summer 2016. 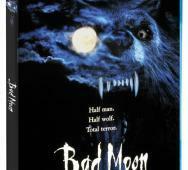 Mariel Hemingway, Michael Pare, and Mason Gamble star in Bad Moon. Steven C. Miller‘s Submerged (2015) is getting a Blu-ray / DVD release this May 3, 2016, via Scream Factory and IFC Midnight. There is no mention of bonus features in the press release below. 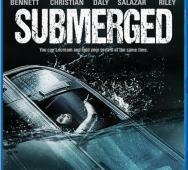 Jonathan Bennett, Talulah Riley, and Rosa Salazar star in Submerged. Alan Shapiro‘s The Crush (1993) gets a Blu-ray release this June 21, 2016, via Scream Factory. There is no mention of any bonus features for this Blu-ray release. Still a movie to watch at least once if you have not already. Cary Elwes, Alicia Silverstone, Kurtwood Smith, Amber Benson, and Jennifer Rubin star in The Crush. 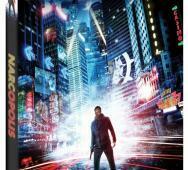 Justin Trefgarne‘s Narcopolis (2015) releases on Blu-ray thanks to Scream Factory this upcoming March 1, 2016. Drugs made legal and companies still trying to break the laws to make even more money on the corrupted system is the basis for this film. James Callis, Kerry Shale, Elodie Yung, Elliot Cowan, Jonathan Pryce, and Harry Lloyd star in Narcopolis. 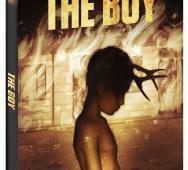 Scream Factory is releasing The Boy (2015) directed by Craig William Macneill on March 1, 2016. Elijah Wood‘s SpectreVision and Chiller Films produced The Boy. A little bleak when it comes to the special features with only one: a behind the scenes featurette. David Morse, Jared Breeze, and Rainn Wilson star in The Boy. Robert Zemeckis’ Death Becomes Her (1992) is getting a special Collector’s Edition release from Scream Factory. The Death Becomes Her Collector’s Edition Blu-ray on April 26, 2016. This Blu-ray release includes a special new interview with Zemeckis. 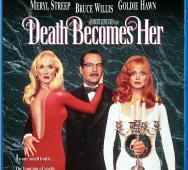 Meryl Streep, Bruce Willis, and Goldie Hawn star in Death Becomes Her. Scream Factory has announced the special John Carpenter Village of the Damned Collector’s Edition Blu-ray release date for April 12, 2016. 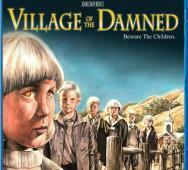 Village of the Damned (1995) is a remake of the original Village of the Damned (1960) directed by Wolf Rilla. Enjoy the cover art below along with the official announcement. Christopher Reeve, Kirstie Alley, and Linda Kozlowski star in Village of the Damned. Joseph Sargent‘s Nightmares (1983) hits Blu-ray this upcoming December 22, 2015, via Scream Factory. 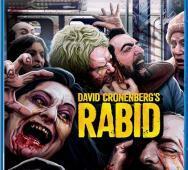 Bonus features include 1080p widescreen, audio commentary with executive producer Andrew Mirisch and actress Cristina Raines. Joe Lambie and Anthony James also star in Nightmares. Josh Forbes’ Contracted: Phase II (2015) releases on Blu-ray/DVD this upcoming January 12, 2016, via Scream Factory and IFC Midnight. No details on the specifics regarding the special features. Contracted: Phase 2 stars Matt Mercer, Marianna Palka, and Morgan Peter Brown. 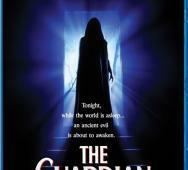 Scream Factory recently announced the Blu-ray extras for William Friedkin‘s The Guardian (1990). The Blu-ray is set to release on January 19, 2016. The Blu-ray will include many special features; including various interviews with actors, director and co-writer. Full details are below with specifics. Starring in The Guardian is Jenny Seagrove, Dwier Brown, and Carey Lowell. Scream Factory is going to unleash a 3-disc Collector’s Edition Blu-ray for Army of Darkness (1992) packed with bonus features. Sam Raimi and Bruce Campbell‘s lovechild horror franchise, The Evil Dead, is a favorite of many and I am happy to hear that Scream Factory has taken the time to bring such a favorite the love it deserves. The extras are enormous and fully detailed below from the press release, but highlights include four versions of the film (full 1080 HD) and new interviews with Bruce Campbell. 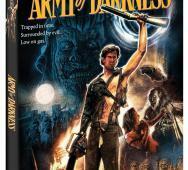 Look for the Army of Darkness Collector’s Edition Blu-ray October 27, 2015. 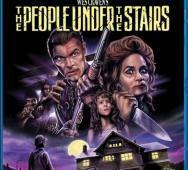 Scream Factory will be releasing Wes Craven‘s The People Under the Stairs (1991) Blu-ray this upcoming August 11, 2015. Bonus features that I like are the audio commentary with Wes Craven on one track and on the other audio commentary with actors Brandon Adams, A.J. Langer, Sean Whalen and Yan Burg. There are some cool interviews also, full details on all the bonus features are available below. 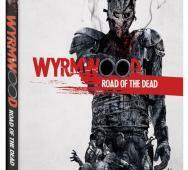 Scream Factory is releasing IFC Midnight and Kiah Roache-Turner‘s Australian zombie film Wyrmwood: Road of the Dead (2014) on Blu-ray / DVD this upcoming August 4, 2015. So what bonus features are on the disc of interest. Deleted scenes, storyboards by the director, The Wyrmdiaries (behind the scenes Wyrmwood feature) and audio commentary with the director. Had to mention, the press release has the wrong spelling of Wyrmwood, really bad. Cast in Wyrmwood: Road of the Dead are Jay Gallagher, Bianca Bradey and Leon Burchill. Scream Factory is releasing the Toolbox Murder 2 (2013), aka Coffin Baby (2013), on Blu-ray this upcoming August 4, 2015. This sequel to Tobe Hooper‘s Toolbox Murders (2004) which was a reimagining of Dennis Donnelly‘s The Toolbox Murders (1978). Will also have scored the Blu-ray cover art for you. I have not seen this horror movie yet. 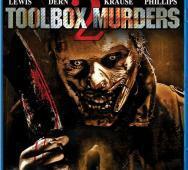 Starring in Toolbox Murders 2/Coffin Baby are Chauntal Lewis, Brian Krause, Chris Doyle and two-time Academy Award(R) nominee Bruce Dern. 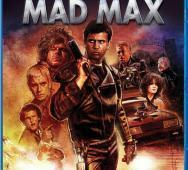 Have you been waiting for the Collector’s Edition of Mad Max (1979), Scream Factory is delivering. The extra bonus features include new interviews with Mel Gibson and audio commentary among others listed in full detail below. Director George Miller made a classic with Mad Max and the stars who include Mel Gibson, Joanne Samuel and Hugh Keays-Byrne. Scream Factory dropped the news finally about the bonus features included in their Escape from New York (1981) Collector’s Edition Blu-ray. We are now getting bonus features spread across 2 discs. This includes the new 2K High Definition scan of the classic movie, lots of new audio commentary from director John Carpenter, Kurt Russell, Adrienne Barbeau and many more from producers, production and photography departments. That was just the first disc of great bonus features. Look below for the remaining cool bonus features on disc 2. Escape From New York starred Kurt Russell, Lee Van Cleef and Ernest Borgnine. 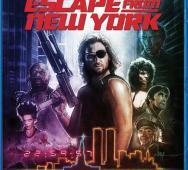 Escape From New York releases this upcoming April 21, 2015. The Vicious Brothers and Colin Minihan‘s Extraterrestrial (2014) was a good horror sci-fi movie that will soon (May 12, 2015) be available on Blu-ray / DVD thanks to Scream Factory. I am a nut for quality extras and I am thrilled that they added audio commentary with The Vicious Brothers and actors Brittany Allen and Melanie Papalia. Also included is the Making of Extraterrestrial and of course the deleted scenes along with reversible cover art. 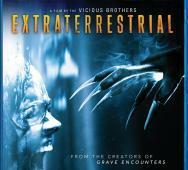 Starring in Extraterrestrial are Brittany Allen, Freddie Stroma and Jesse Moss. Did you see Extraterrestrial yet? Scream Factory will release their Blu-ray for Rupert Wainwright‘s Stigmata (1999) this upcoming May 12, 2015. Although not a terrifically great horror movie, I did enjoy Stigmata. The extras (bonus features) have not been released yet but Scream Factory usually tries to add as much as they can. 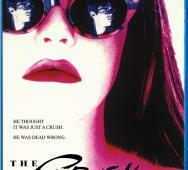 Starring in Stigmata are Patricia Arquette, Gabriel Byrne and Jonathan Pryce. Enjoy the Stigmata Blu-ray cover art below. John Carpenter‘s Escape from New York (1981) brings back found memories and I am pleased to say that Scream Factory will release a special collectors edition of Escape from New York. 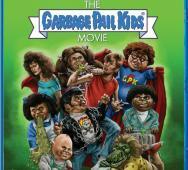 Paul Shipper did a fantastic job with the Blu-ray artwork and really hit that 80’s feel. Look for the Blu-ray release this upcoming April 21, 2015. Are you ready to watch Escape from New York (1981) with stars including Kurt Russell, Lee Van Cleef and Ernest Borgnine? Scream Factory will release Candyman: Farewell to the Flesh (1995) on Blu-ray this January 6, 2015. Bonus features will include audio commentary with director Bill Condon, 25 minute interview with Tony Todd and 12 minute interview with Veronica Cartwright. The art is basically a better version of the original movie poster. 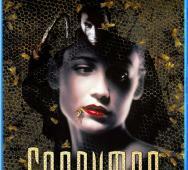 How many of you were/are Candyman fans and how many of you will buy this Blu-ray? Brett Simmons directed Chiller‘s Animal (2014) creature feature movie with Drew Barrymore and Nancy Juvonen‘s Flower Films produced. 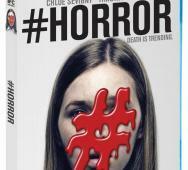 Now Scream Factory will release the Blu-ray / DVD this upcoming February 17, 2015. Check out the cover art for the Blu-ray below. 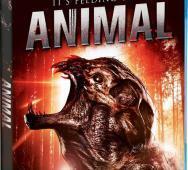 Starring in Animal are Joey Lauren Adams, Elizabeth Gillies and Paul Iacono. 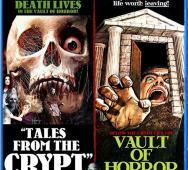 Scream Factory will release Tales From The Crypt / Vault of Horror Blu-ray this upcoming December 2, 2014. 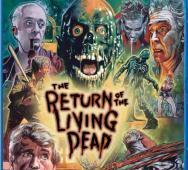 These classic British horror films are known to most die hard horror fans. Vault of Horror comes in the uncut widescreen version. You will also get an alternate opening scene for Vault of Horror. 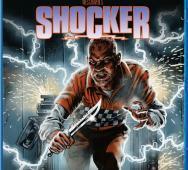 More details are found below about both films in this release from Scream Factory. Clive Barker‘s Night Breed (1990) Directors Cut Blu-ray / DVD has been a long time coming and I am thrilled to watch it all again in the vision of Clive Barker himself. I really like what Scream Factory did with the Night Breed limited edition cover art. Disc 1 will contain over 40 minutes of new / altered footage in the director cut of the film. 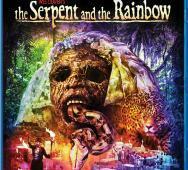 A special introduction by Clive Barker and restoration producer Mark Alan Miller. Disc 2 contains deleted and alternate scenes, make-up tests, lost stop motion footage and extended torture scenes. These are just the highlights but the full disc contents for all 3 discs are below. 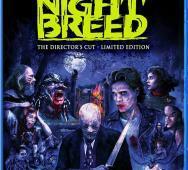 Clive Barker’s Night Breed director cut Blu-ray / DVD release date will be October 28, 2014 but if you pre-order from Scream Factory directly, they will ship it to you October 4, 2014, 2 weeks earlier than anyone else including additional extras detailed below. 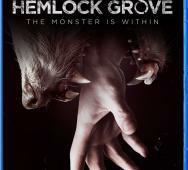 Scream Factory announced that they will be releasing Netflix‘s Hemlock Grove Season 1 on Blu-ray and DVD this October 7, 2014. The 13 episodes will be spread across 3 Blu-ray discs and on DVD, across 4 DVD discs. More on the bonus features will be revealed soon but so far special features include six vignettes with all-new features to be announced in the future. Don’t forget, Hemlock Grove Season 2 is currently available to stream on Netflix right now. Stars include Famke Janssen, Landon Liboiron and Bill Skarsgard. We already told you that Scream Factory was to release one of the best werewolf movies in recent memory Ginger Snaps (2000) on Blu-ray / DVD but we did not have any bonus features last time. 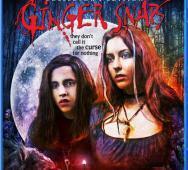 July 22, 2014 is the release date for Ginger Snaps and there is a ton of bonus features included. We get new interviews with the director (John Fawcett), writer (Karen Walton) and actors. Two audio commentaries with director / writer and deleted scenes plus optional commentary on each plus many more, full list below. Ginger Snaps starred Emily Perkins, Katharine Isabelle and Kris Lemche. Scream Factory‘s Pumpkinhead Blu-ray cover art stays very true to the source material. 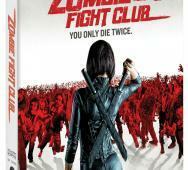 This special Blu-ray release will be a collector’s edition releasing in Fall 2014. The special features will be released sometime in June so until then, we have the cool cover art by Justin Osbourn to tide us over. Scream Factory will release Andrew Davis’ The Final Terror (1983) on Blu-ray & DVD as a part of their Summer of Fear celebration. This release will feature audio commentary with the director, interviews with the actors and other who worked on the horror film. John Friedrich, Adrian Zmed and Ernest Harden Jr. starred in The Final Terror. Scream Factory just released details that they will release the Blu-ray for Ravenous (1999). Ravenous is available for Pre-order now at http://www.shoutfactory.com/product/ravenous with the official Blu-ray release date as June 3, 2014. The Blu-ray will be packed with commentary, interview and deleted scenes among other things. 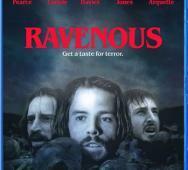 Starring in Ravenous are Guy Pearce, Robert Carlyle and David Arquette. Pumpkinhead is a franchise that I would love to see rebooted but until then, Scream Factory will be releasing the Blu-ray of Pumpkinhead (1988) & Pumpkinhead II: Blood Wings (1993) this September 2014. 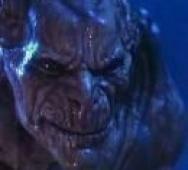 Although the Pumpkinhead franchise did get increasingly cheesy as the movies went on, the first and second movies were pretty good. Brett Simmons’ The Monkey’s Paw (2013) has gotten some love from Scream Factory and will be getting a Blu-ray / DVD release date. 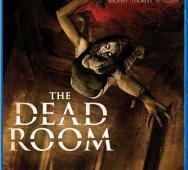 Look for this horror release this June 17, 2014. The Monkey’s Paw stars C.J. Thomason, Stephen Lang, Michelle Pierce along with Corbin Bleu. 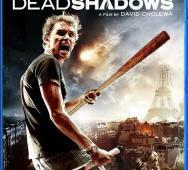 David Cholewa‘s Dead Shadows (2012) will be released on Blu-ray / DVD this upcoming April 29, 2014 thanks to Scream Factory. Bonus features include making of the special effects, deleted scenes, interview with the director and more. 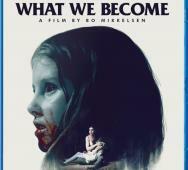 This horror movie did turn a lot of heads and was a bit scary at times so make sure you look out for the Blu-ray / DVD release. 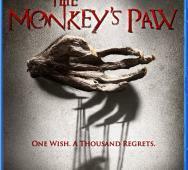 Scream Factory has just released the latest art for the The Monkey’s Paw (2013) Blu-ray. Chiller TV‘s The Monkey’s Paw is a part of Scream Factory’s Summer of Fear lineup. The Monkey’s Paw stars Stephen Lang (Terra Nova, Avatar, Conan the Barbarian) and Corbin Bleu (Nurse 3D). Scream Factory released the news that they will release Lake Placid Collectors Edition this upcoming June 2014. 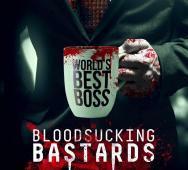 We also have the new blu-ray cover art which is not all that appealing but has a great twisted play on words. 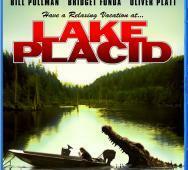 “Have a Relaxing Vacation at… Lake Placid. You’ll never know what bit you.” Steve Miner directed this funny creature feature and Bridget Fonda, Bill Pullman and Oliver Platt starred. Scream Factory’s 2014 “Summer of Fear” is fast approaching and now they are adding The Final Fear to the horror movie releases. The Final Fear will be released this upcoming July 2014. There is currently no details on the special features but expect to hear more as the release date nears closer. As good werewolf movies go, Ginger Snaps (2000) is definitely in the top werewolf movies list. No wonder Scream Factory will be releasing the Ginger Snaps Blu-ray. Special features and extras for the Blu-ray has not been released yet but are expected this upcoming May 2014. John Fawcett‘s (Spartacus: War of the Damned, Lost Girl, Spartacus: Gods of the Arena) Ginger Snaps was originally released in 2000 and stars Emily Perkins (Ginger Snaps franchise), Katharine Isabelle (Ginger Snaps franchise, American Mary) and Kris Lemche (The Frankenstein Theory, Final Destination 3). 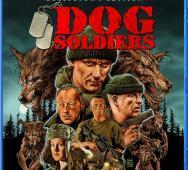 Dog Soldiers (2002) is getting some werewolf love from Scream Factory as they have recently announced that the will be releasing the Dog Soldiers Blu-ray / DVD combo pack this upcoming June 24, 2014. I for one really enjoyed this horror movie and thought it was the best werewolf movie released in years. Extras will be released mid-April and if you order directly from Scream Factory, you will get a limited edition poster of the art. Full details available below. 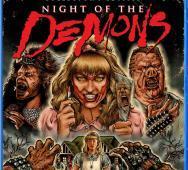 Scream Factory has been generous to give us a sneak peek at the Night of the Demons Blu-ray cover art. 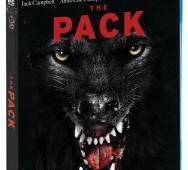 The Blu-ray/DVD combo pack will release sometime early next year. This release will be a “Collector’s Edition” with the cover art created by Nathan Thomas Milliner. The Blu-ray will have a reversible sleeve in case you want to show off the original theatrical poster instead.